In my childhood days, I had a Timex watch that would beep every hour, on the hour. You know, like grandfather or cuckoo bird clocks (remember those?). 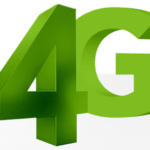 Nowadays, cellphones have replaced watches for most people, and clocks too. Cuckoo’s setup is simple and takes seconds, which makes it a hit for me. When apps are slow to load, or too complex out of the box, it’s a turn off. Cuckoo turns your iPhone into a grandfather clock or cuckoo bird clock, and will go off every hour. It’s a great way to remind yourself to take a break from work, or to keep track of time. The app itself is extremely simple and easy to use. Launch it, choose one of two free chimes (grandfather or cuckoo bird; others in-app purchases are available) but if you share the app, you get 11 free sounds. Cuckoo will run in the background. My favourite feature is the ability to set Start/Stop hours, which is nice so the grandfather chimes don’t freak out your family in the middle of the night. I’d love to see Cuckoo include some more sounds in the future, and possibly the ability to use or make your own. I am using the grandfather clock chime, which also needs to include a longer ‘fade out’ as it cuts off too abruptly. Other than that, this app so far has been a simple, yet fun hit for me. 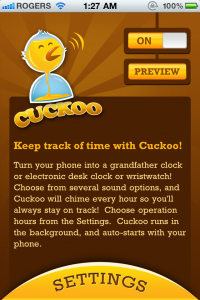 If you’re a grandfather clock/cuckoo bird clock fan, click here to download Cuckoo–it’s free. 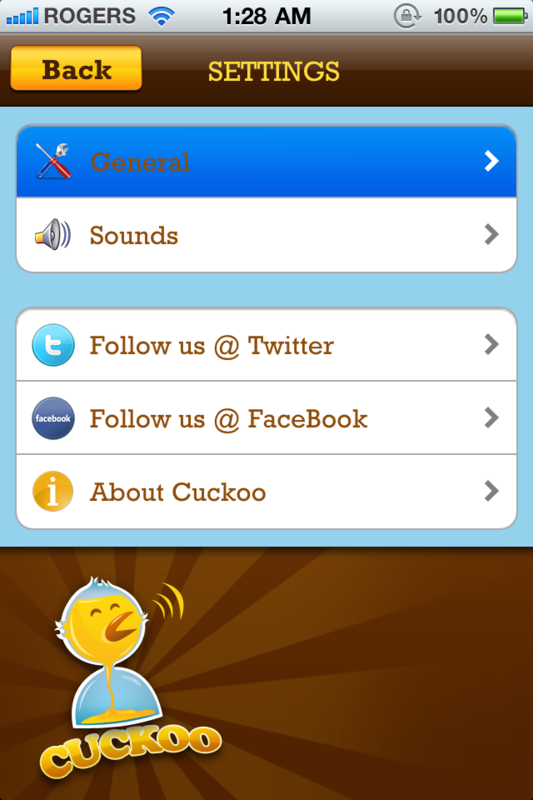 Tell me what you think of Cuckoo in the comments!